This resolution, by the Women’s League of Conservative Judaism (of which our Sisterhood is a member), was prepared with reference to the Rabbinical Assembly’s 2016 resolution. We are grappling with some of the wording. What are your thoughts? Please share below. Gun violence is an acute public health and global concern, but the United States is a tragic outlier on this issue. America’s violent gun homicide rate is 25 times higher than those of 22 other high-income countries. Women are disproportionately affected. Abused women are five times more likely to be killed by their abuser if that abuser owns a gun. Having a gun readily accessible also makes suicide attempts easier and more successful. However, a 2017 gun violence study reports that background checks and waiting periods for gun purchases are consistent with lower suicide rates. Another extreme example of gun violence is the epidemic of mass shootings in the U.S. These horrific incidents are often committed with military-style assault weapons. According to a 2016 poll, a majority of the U.S. population prefers an assault weapon ban, and that they feel less safe when more people are carrying guns. Besides death, other consequences of shootings include medical treatments, criminal justice proceedings, security precautions, and a reduction in quality of life, all of which cost an estimated $100 billion annually. These losses are tragic and the vast majority of them are utterly preventable. Comparing the United States to Canada and Israel reveals discrepancies in the way the US and these two countries approach the question of gun ownership. The US has no licensing procedure for this. 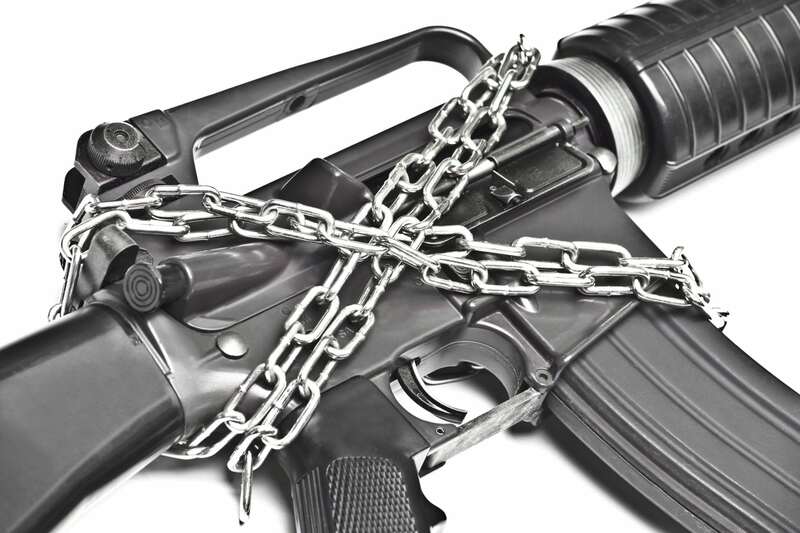 Presently, Canadian law classifies firearms into three categories: prohibited (such as AK-47s and sawed-off shotguns), restricted (such as handguns and AR-15s), and non-restricted (usually rifles and shotguns). In addition, Canada requires anyone wishing to purchase a gun and/or ammunition to obtain a valid license under the Firearms Act. This license requires a screening process, which includes a safety course, a criminal history and background checks, a provision of personal references, and a mandatory waiting period. Israeli gun laws are even stricter. There, too, a license is required. Preconditions include a minimum age, being in good physical and mental health, and having no criminal record. Israelis are permitted to own only one gun at a time, and must even ask permission to sell their gun. Moreover, the type of gun permitted is dependent on the need for which it is requested, and there are lists for each type. Approximately 40% of Israeli gun license requests are denied. Israelis are limited to just 50 bullets at any given time in their possession, and must shoot or return old bullets before they can buy new ones. Ammunition sales take place only at regulated shooting ranges, and the sales themselves are then registered. Finally, the Canadian firearm-related homicide rate is about seven times lower than that of the United States, while the Israeli rate is 33 times lower than the US rate. Urges its members to work with their state and federal representatives and senators to enact effective gun violence prevention legislation. Therefore, be it resolved that Women’s League for Conservative Judaism encourages congregations to prohibit guns being carried in synagogues by non-active law enforcement, congregants, or visitors. The Guardian, 2016, March 14 (Source: The American Journal of Medicine, Violent Death Rates: The US Compared with Other High-income OECD Countries, 2010). The American Journal of Medicine, March 2016, Volume 129, Issue 3, Pages 266–273, Violent Death Rates: The US Compared with Other High-income OECD Countries, 2010. The Brady Campaign to Prevent Gun Violence, The Brady Center averaged the most recent five years of complete data from death certificates (2011-2015) and estimates of emergency room admissions (2010-2014) available via CDC’s National Center for Injury Prevention and Control’s Web-based Injury Statistics Query and Reporting System, cdc.gov/ncipc/wisqars/. Law Center to Prevent Gun Violence, smartgunlaws.org, (Source: Everytown for Gun Safety, Analysis of Recent Mass Shootings 3, July 2014). U.S. News and World Report, U.S. Gun-Related Murder Rate 25 Times Higher Than Other Nations, Feb. 2, 2016, at 2:00 p.m.
TIME, America’s Gun Homicide Rate Is 25 Times Higher Than Other Rich Countries, Daniel White, Feb 03, 2016.
from American Journal of Medicine, from 2010 mortality data from the World Health Organization for 23 high-income nations. Elsavier, Gun Deaths in U.S. Remain Highest Among High-Income Nations, Gun Deaths in U.S. Remain Highest Among High-Income Nations, Philadelphia, PA February 1, 2016. New York Times. Some Gun Laws Tied to Lower Suicide Rates, By Nicholas Bakalarmarch, 15, 2017. U.S. has 80% of all firearm deaths, 86% of all female gun casualties, and 87% of all children’s firearm fatalities (up to age 14), relative to 22 high-income countries. Some individuals (over 14, and up to 25 years old) are 49 times more likely to die from gun violence than their counterparts in those developed nations. I am all for sensible gun regulations. However, I think we need to look at the selective “facts” presented here and see them for what they are, skewed. There is more gun violence in the US because there are more guns. When comparing gun crimes to countries with tighter gun control, let’s add all violent crime statistics committed with other weapons and see how the US really stacks up when it comes to violent crime. The thing that concerns me more than gun control is why we have so many mass shootings now. In the past the ratio of guns to citizens was much higher. Until the 1930’s it was legal for Americans to own machine guns. So why are mass shootings so prevalent now? It’s not the guns, it is a fundamental problem in our society that goes far deeper than the weapon of choice one might use to commit these horrible acts. I think it’s interesting that a big deal is being made about the Women’s League banning guns in synagogues. A reading of any state’s law that allows concealed carry of firearms would show that most if not all ban guns in religious institutions already. Instead of making a big deal over the tools of potential violence, we as Jews should focus on root cause of why someone would take any weapon and use it against random people. Then let’s work to fix that in our community and our society. There is something terribly wrong in our country and dwelling on a tool isn’t going to solve it. New Jersey gun laws are some of the most restrictive in the United States. It is a “May Issue” state so a person must demonstrate a justifiable need to carry a firearm. In reality it acts more like a “No Issue” state for regular citizens as permits are very difficult to obtain. Some of these restrictive laws are being tested in the courts. Permits are issued to both residents and non-residents. A firearms training course is required for new applicants and they must be at least 21 years or older. Fortunately, this is one resolution that Shuls in NJ do not have to debate. gets stimulated to a subtle fight or flight response where I am on edge. I am aware something can go terribly wrong. This brain response is a primitive one from when we were cave men and women. It is a danger signal we all have. (fight or flight) and a measured appreciation of security (cerebral rationality). I prefer to come to any synagogue where I can leave as much fear as I can at home. I can make the accommodations to guards and police at synagogue. I could not adjust to guns carried in synagogue. My goal to shift my awareness through prayer and meditation to have connection with G-d would be hijacked with the fear I would feel with weapons in my sight. I most likely would stop going to the synagogue that encouraged this behavior. Wendi Winters [a victim of the Baltimore newspaper shooting] was a very old friend of my sister Faith. I was just reading a comment she made to a posting that Faith had made on Facebook last week. She was reminiscing about the old days on Bond Street in NYC where Faith lived. Our paths have crossed on several occasions over the years. She was a wonderful, talented and loving mother and friend. What a senseless loss of such a good person!!! My sister is devastated, “ she told me “this must be the new way to die”! My heart is broken for her loss… is anyone even talking on the media about gun control with this incident? As Dan pointed out, NJ is one of the most restrictive states to buy or carry a fire arm. Do they belong in certain places, the answer is no. they do not belong in any house of worship. Most of the issues in dealing with fire arms is not the arm itself, it is the person. A firearm is a machine. It requires the operator to do something in order for it to operate. The arm is NOT flawed, it can’t operate itself; it needs an input. A computer is a machine. It requires input to operate otherwise it sits there, like a gun. In the hands of the wrong person, a computer can take a life, not in a physical sense but financial, take trade secrets or even cause damage that can take life. Should there be restrictions on the person; well, in short yes. The key is reasonable; Good mental health, no criminal record, take a class in safe handling.